Just like that, Laugh Out Loud Comedy Club will be headlined by a comedian described as “Tommy Cooper on acid” tomorrow night at the Grand Theatre. Canadian comic Wes Zahurak known for his anarchic and physical comedy, has become one of the most requested comedians on the circuit. Like Cooper he has a number of “eye-popping” prop tricks and has a “tornado-like approach” to comedy. His popularity across the pond is such he became a regular and audience favourite on the immensely popular TV show ABC’s ‘America’s Funniest People’. Joe Sutherland, likened to a young Julian Clary, joins him on the bill. Joe’s recently made a name for himself on BBC Radio 4 Extra with his caustic, catty and camp wit. He crafts short, sharp jokes on the subjects of love, work, youth and life. Also on the bill is Bill Woodland, described as a “joke machine” with an observational, chatty style. Quick witted, up to date and topical, his humour appeals to all audiences of any age with the ability to read a room and adapt his act to each occasion. 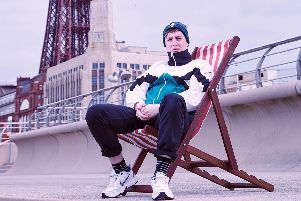 Laugh Out Loud Comedy Club started life in Southport and it’s attracted names in the past such as Jason Manford, John Bishop and Sarah Milican. Damion Larkin, described by the BBC as “one of the country’s top new comedians” has organised the event, and will be acting as compere on the night, he said: “We’ve got a cracking lineup, it should be a brilliant show. Doors open at 7.30pm, with tickets priced at £13 in advance or £15 on the door.